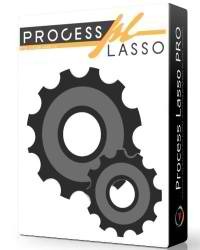 This is a minor release to Process Lasso v8, but has some relatively important fixes and improvements. We now will be branching v8 from v9 so that future betas will all be of v9. We may occasionally back-port changes to v8, but will otherwise be working to get v9 out the door. We plan for v9 to be a very nice major upgrade. 8.9.3.2 Fix GUI Fix to CPU Affinity Selection Dialog. When more than 32 logical cores on system, only frst 32 cores checked for default/’all’ CPU affinity.